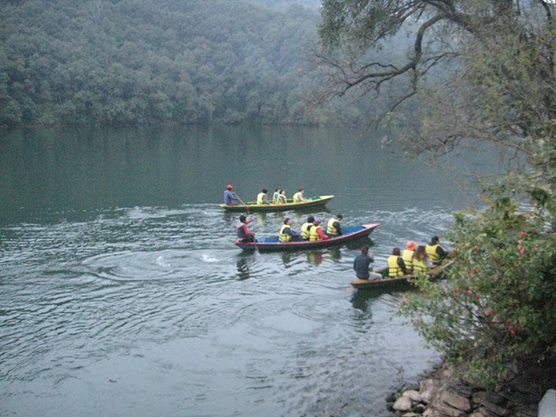 Nepal heritage tour is for life time experience of witnessing amazing Nepal. This package renders spectacular view of serene hillsides areas adjoining the snow capped mountains of Nepal. Guided tours to the UNESCO World Heritage areas - Kathmandu, Bhaktapur and Patan- embroidered with Newari art and architectural monuments where you can still witness the indigenous people swarming in traditional attire to observe different feast and festivals. Moreover, in the same package is the thrilling white water rafting, camping accommodation in the bank of the River, Jungle safari activities in Chitwan National park, the World Natural heritage. This is a hub of flora and fauna. The park is home to more than 50 mammal species, over 525 birds, and 55 amphibians and reptiles. The endangered animals found in the park are: One-horned rhinoceros, Gaur, Royal Bengal tiger, Wild elephant, Fourhorned antelope, Pangolin, Golden monitor lizard, Python, etc. Where as Bengal florican, Lesser florican, Giant hornbill, Black stork, While stork, etc are the endangered birds. Day 3 - Drive to Dhulikhel, ½ Day S/S of Dhulikhel old trading city. Full day Sightseeing of Bhaktapur AM Drive to Bhaktapur Durbar Square, in Bhaktapur city. The city is also known as Bhadgaun. Golden gate, 55 window palace, Art Gallery, 5 storied temples, Dattatraya square are the most attractive here. The exquisite wood carvings, anecient Newari architecutures and pagado styled Hinmu temples are on display here. They are the mementos of mediaval beginning from 12th to 18th c. O/N stay at Bhaktapur. 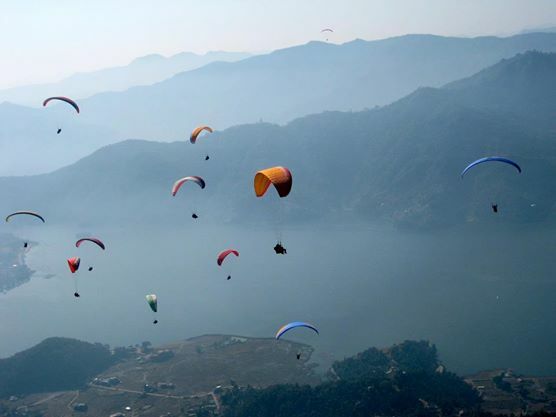 Pokhara is surrounded by beautiful snow-caped mountains, with a magnificent lake of crystal-clear pure Himalayan water. David fall, Cave, International Mountain Museum, Lakes etc are some of the attraction to mention. 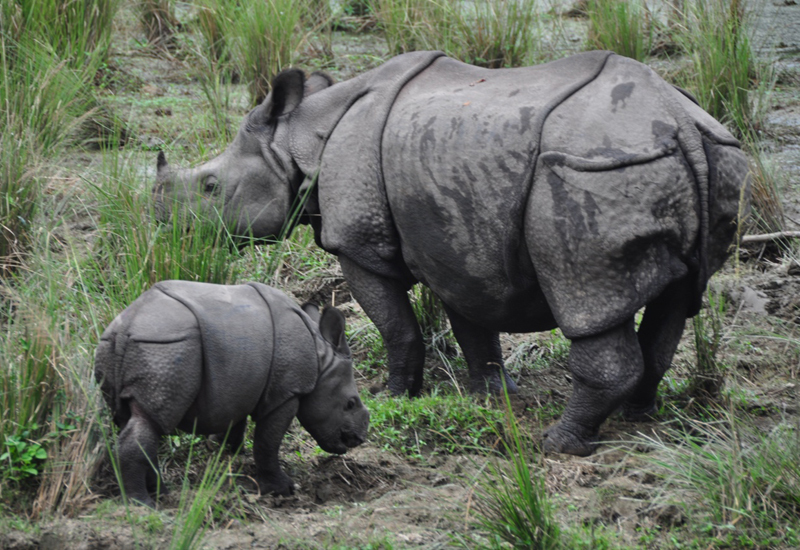 Chitwan National park, the World Natural heritage. This is a hub of flora and fauna. The park is home to more than 50 mammal species, over 525 birds, and 55 amphibians and reptiles. The endangered animals found in the park are: One-horned rhinoceros, Gaur, Royal Bengal tiger, Wild elephant, Fourhorned antelope, Pangolin, Golden monitor lizard, Python, etc. Where as Bengal florican, Lesser florican, Giant hornbill, Black stork, While stork, etc are the endangered birds. However, we facilitate you the chances to encounter those rare species by penetrating this dense forest on Elephant back jungle safari and and floating on Canoe in the Rapti River. In the mornig, walk in cool ambience for exclusive bird watching. Equally interesting part of these activities is a visit to elephant and gharial crocodile breeding centres. A real fun indeed! AM Jungle Safari. PM Visit Program at Elephant breeding center. Tharu Cultural Program in the evening. Fly back to Kathmandu, free hour for recreation and shopping. Evening time for Farewell Dinner. Free till final Departure. Transfer to the airport for final Departure. -- an English speaking Licensed private Guide to accompany you through out the tour. 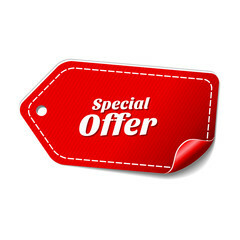 -- All the personal expenses like Alcoholic beverages, Bottled drinks etc. Himalayan culture tour introduces you to the enchanting Himalaya, Exclusive jungle tours in the Elephant back, Everest mountain flight and the tranquil hotel accommodations in the most happening periphery of Kathmandu, Bhaktpaur, Pokhara valley and in National Parks. 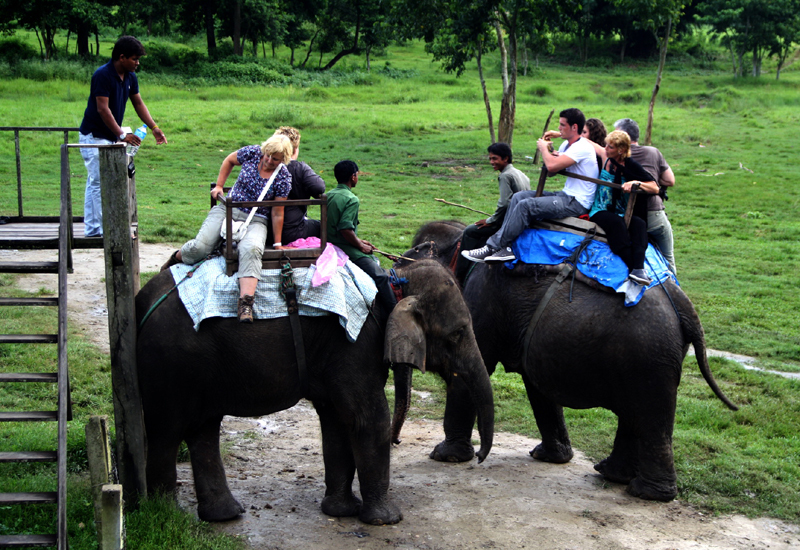 Enjoy antique experience in kathmadnu valley, prestine Nature in Pokhara and and jungle safari in Chitwan. Pokhara is the only such amazing city where you stand on the level of around 1000 meters from sea level to over 8000 meters tall mountains!!! experience jaw opening Bungy Jumping, White Water Rafting, Canyoning , paragliding and incredible Zip Flyer in Nepal.